Free Race: Car Racing Game is the most addictive car race game ever! This game will let you be a great driver. 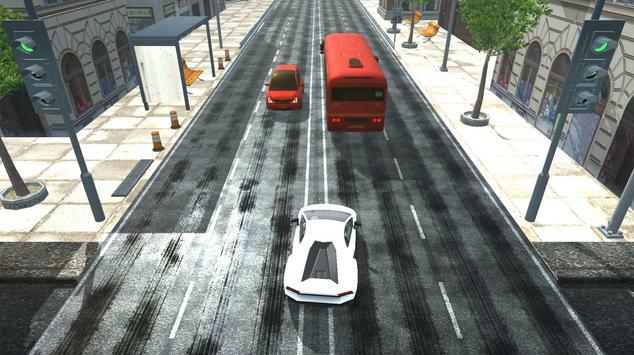 The goal of this racer game is to drive your car within 4 modes in a 3D realistic environment that you will love. But, keep in mind that you will have to drive your car very carefully without hitting any vehicle or you will loose. Sounds easy? But, would you be able to truly drive your car, complete the challenges and avoid hitting the cars within the given time? Why choose to download and install Free Race: Car Racing Game on your android smartphone or tablet instead of other racing and driving games? We made some Cool and smooth high quality graphics to give you the best experience while playing the greatest driving car race game ever! You will enjoy this endless game! Our game is very easy to play, you need just to tap the acceleration button in the right of the screen to accelerate or tap the braking button in the left of the screen to brake the car. If you want to go right or left with the racing car, just tilt your phone to the right or the left. Super easy! Crazy and unique game play, you would have never experienced before. A lot of different traffic to give you a thrilling experience. Amazing sound effects to make your experience more real. Our racing game is FREE and it will stay Free for life, so there is No hidden fees and no annual subscription to enjoy the best car race game ever! You can enjoy playing within 4 modes. One way, Two way, Time Attack and Speed bomb. Some modes are endless. Yes! our game is endless. You will enjoy driving as much as you want, because the only one that can stop you is you. 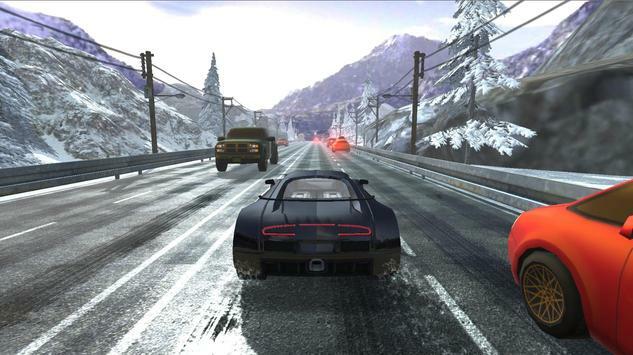 If you want to drive and improve your driving skills, you can easily choose the one way or two way mode. In those modes, you will be able to play without missions, but keep in mind that you should not hit any other vehicle or you will loose. We designed 3 different environments to let you choose any one you like. You can choose between City, Snow mode and dead land. All those environments are designed very carefully and in a very high quality. On our app, you will find 10 awesome cars, you will have one for free, but you can also purchase the other cars by using the cash that you earned while playing this car simulator game modes. To choose the car that will fit you the best, you need to compare the cars using many criterias. Want to upgrade your car? It is possible and you can do it using the cash earned in the game. Now, invite your friends and family to play our game and challenge them. Do not let them beat you! Want to play our game anytime? Its possible, because our game supports the offline mode and you can enjoy it even if you dont have a 3G, 4G or WiFi internet connection. 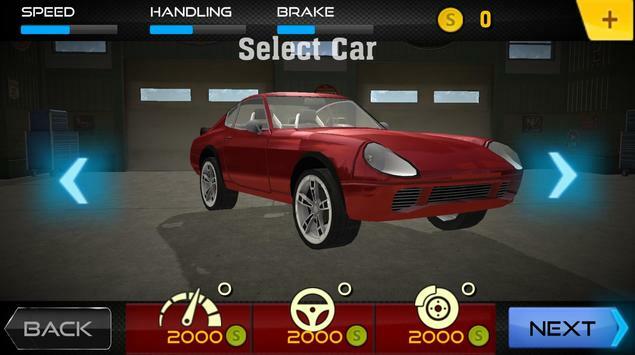 Free Race: Car Racing Game is a free game and it can be played by Adults and Teens. Your whole family can play it and they will enjoy the best car race game ever! You can easily share your scores on social networks and compete your friends. Another reason to play our car racer game is that we have a good developers team and they will update this game regulary to bring you with the best experiences and updates. We will also add more levels. What are you waiting for? Download Free Race: Car Racing Game on your android smartphone or tablet and enjoy the most addictive car racing game ever! We are always striving to provide the best user experience for our players. We are also looking for your feedback, suggestion or recommendation. Please, feel free to email us at " 1racegames@gmail.com " and let us know from you so we can continue to bring you the best experiences and updates. Please review Free Race: Car Racing game Game and submit your comments below. We will collect all comments in an effort to determine whether the Free Race: Car Racing game app is reliable, perform as expected and deliver the promised features and functionalities.